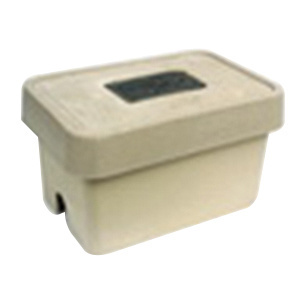 Hubbell-Wiring Quazite® Box with open bottom, features fiberglass reinforced precast polymer concrete construction. It withstands maximum load of 22500 lb. Stackable box has dimension of 13.38-Inch x 20.25-Inch x 12.5-Inch. Box is UL listed and meets ANSI 22 tier standards.